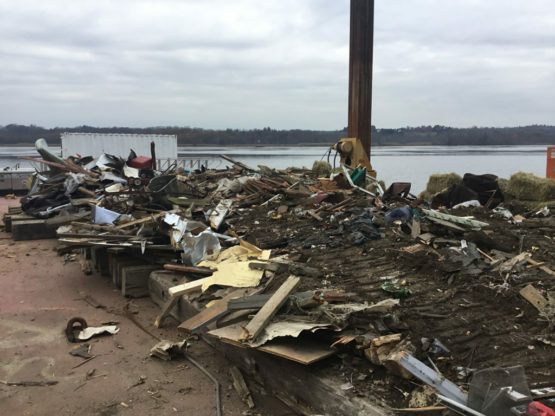 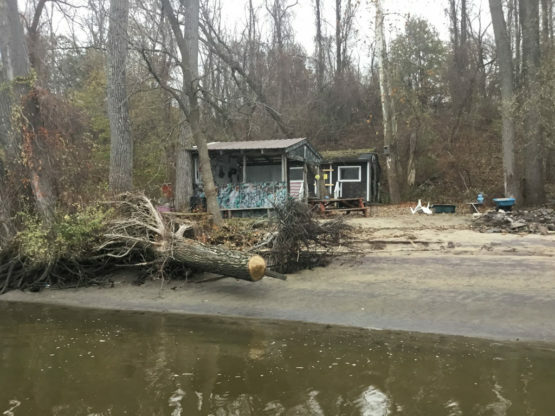 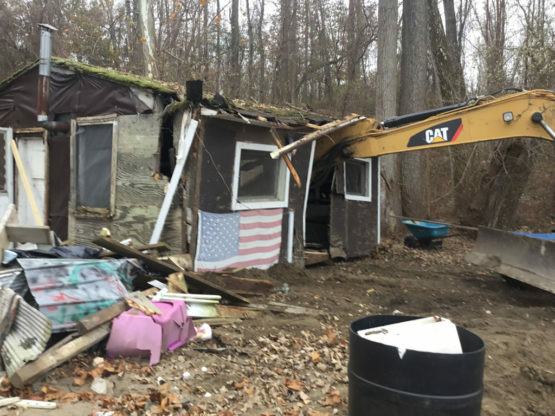 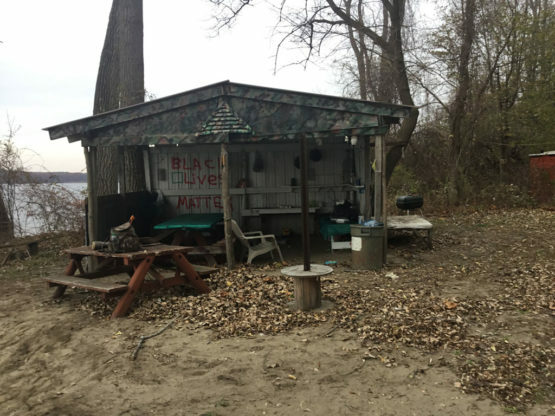 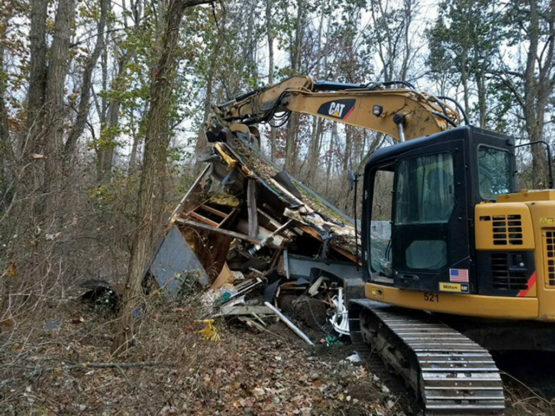 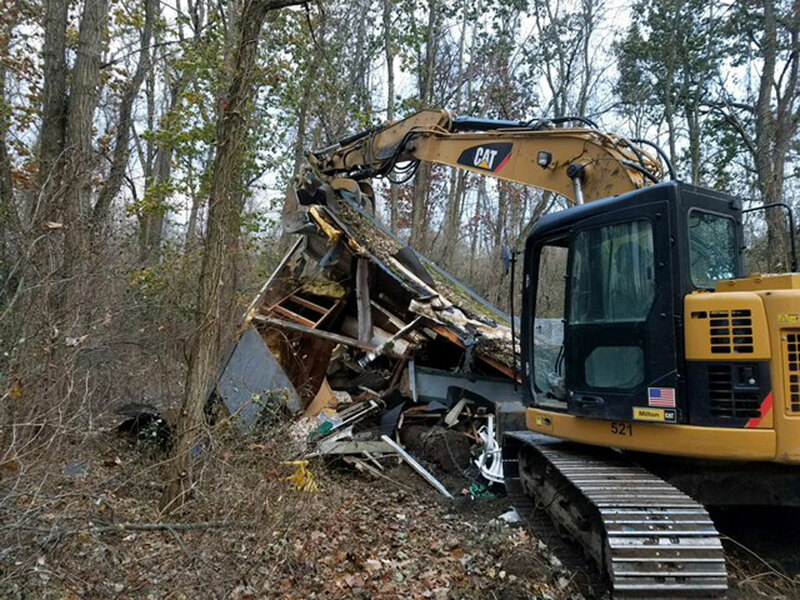 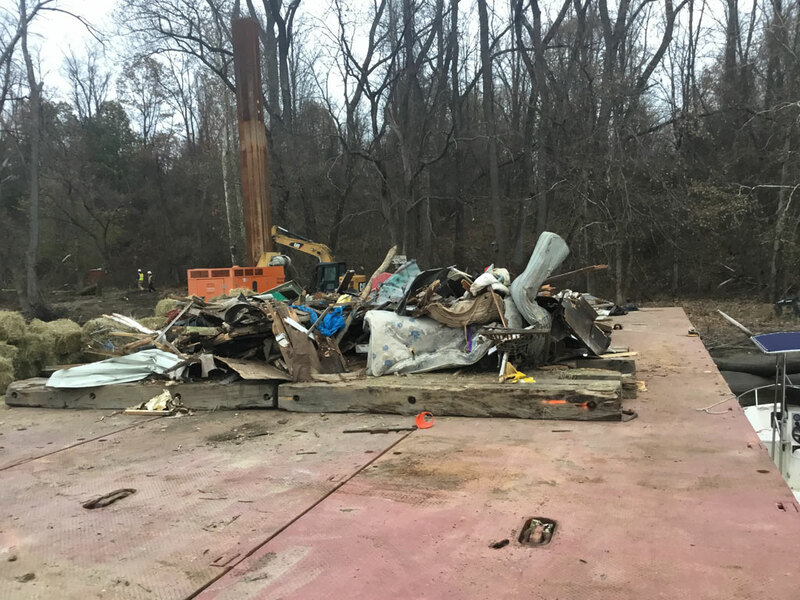 Over the years, garbage and squatter cabins accumulated on an island in the Hudson River, leaving the DEC with the expense of cleanup. 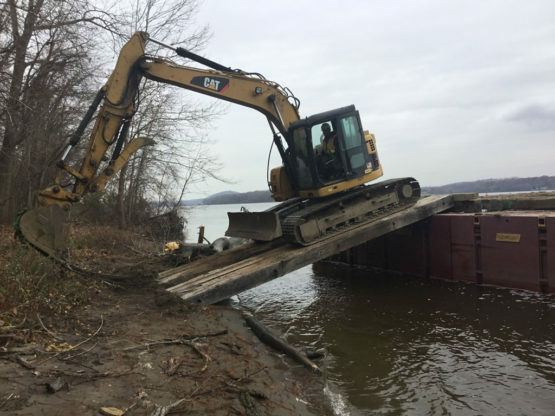 Upstate Companies was enlisted to get the job done. 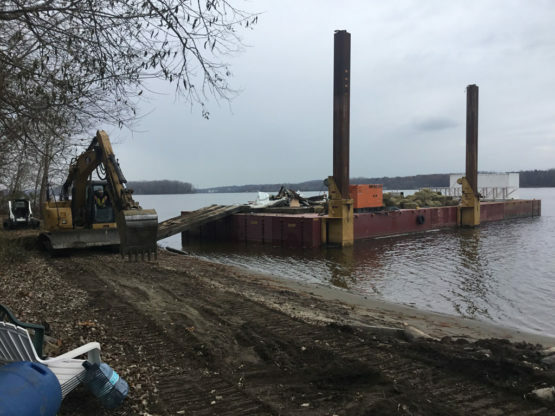 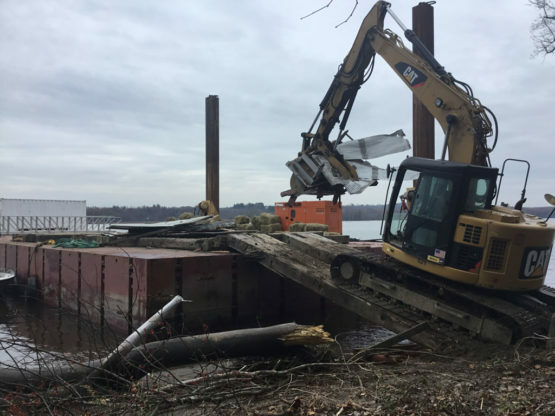 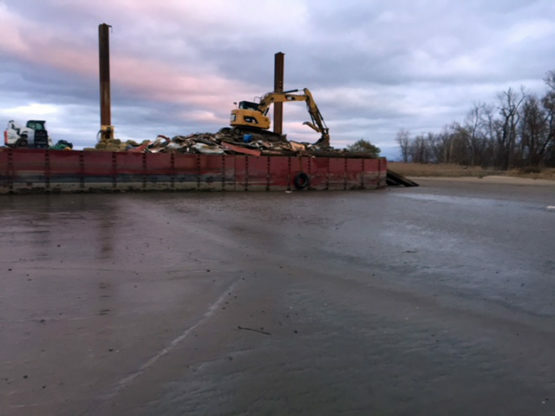 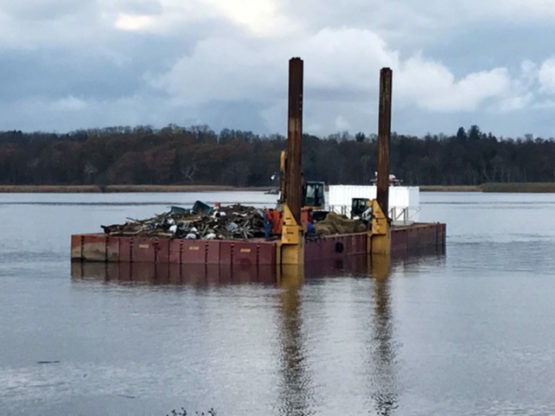 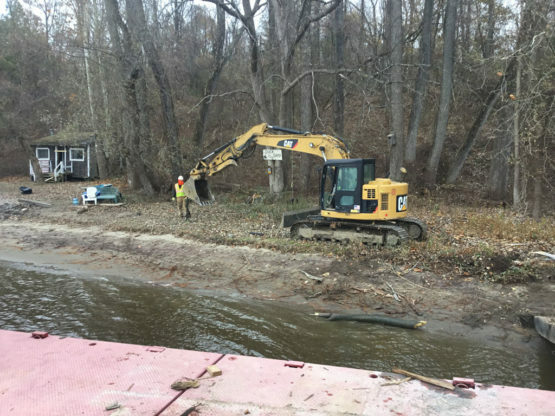 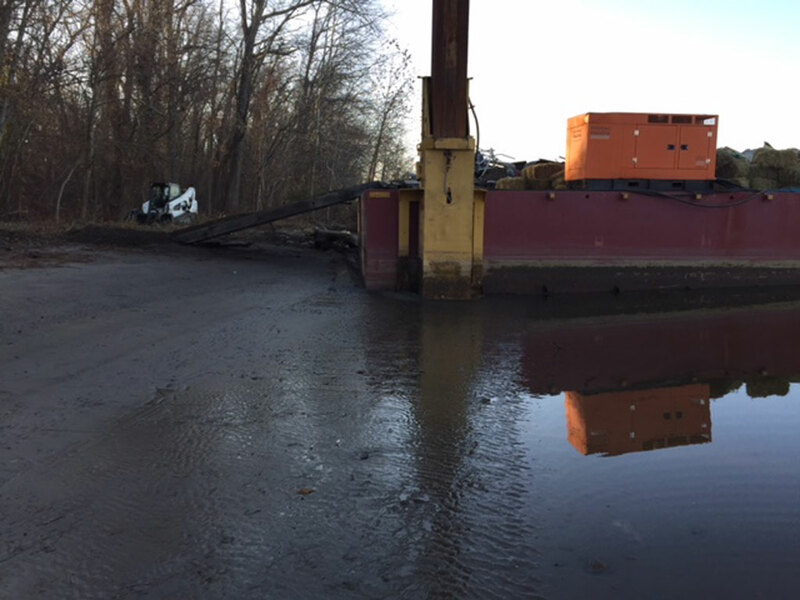 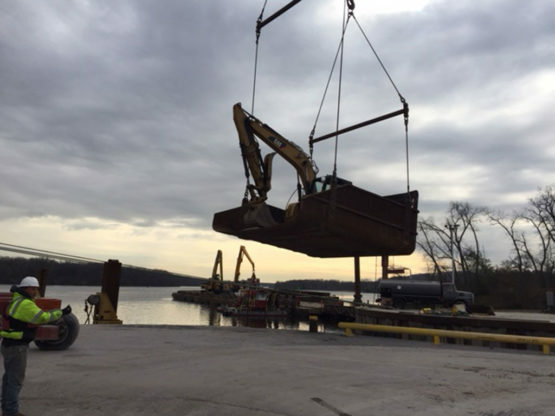 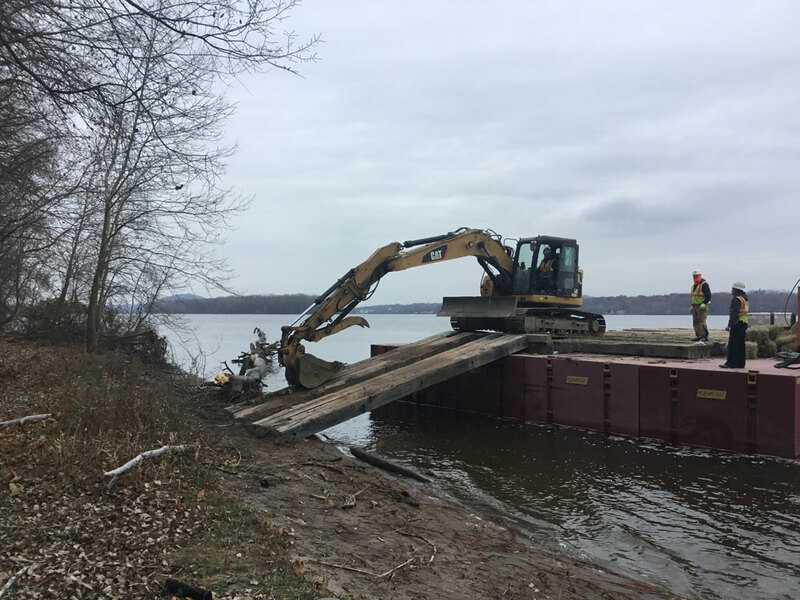 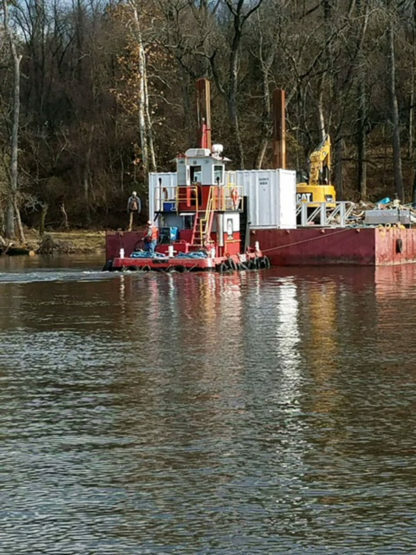 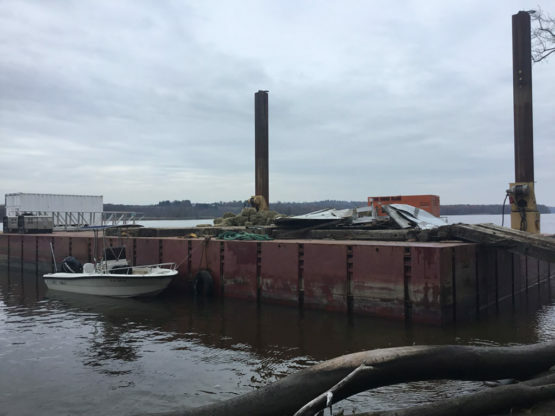 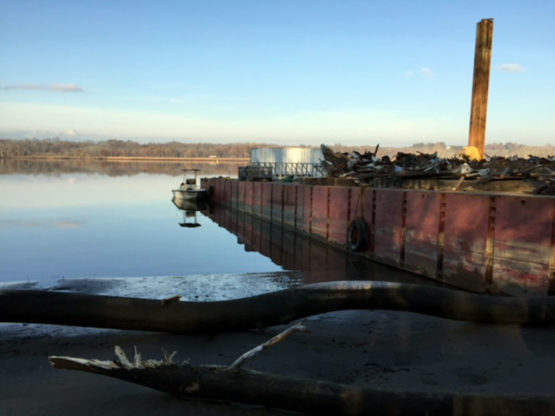 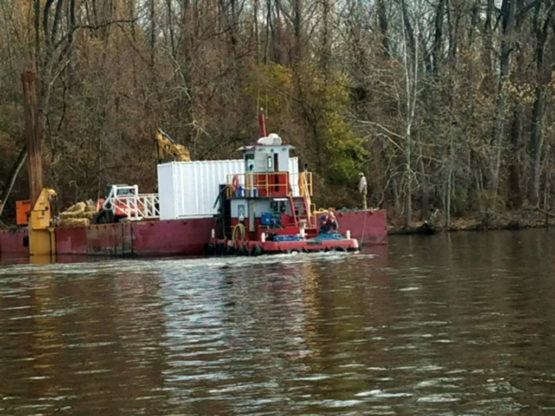 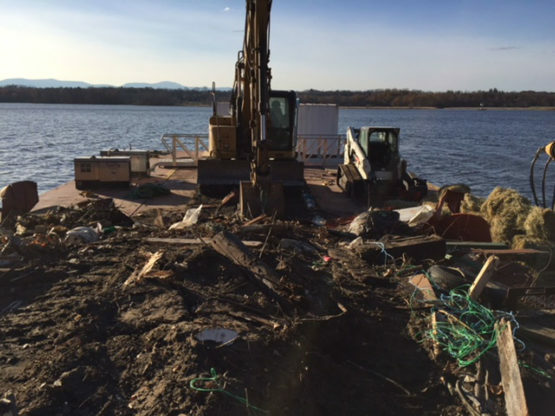 Excavators and heavy equipment were mobilized by barge and in coordination with tides. Once complete, the debris was brought back to the mainland for final disposition. Coordinating the cleanup with tides was a major and often treacherous challenge, especially as low snow-melt left the river nearly 1 ft. lower than the annual average.